Update February 2016: This short post has been expanded to a 10-part series of common grad student tax lies on Grad Student Finances. Check it out for more detail, explanation, applicability, references, etc.! My little university community service project for this fall is working with a staff member to compile a comprehensive reference document for graduate students preparing to file their taxes. 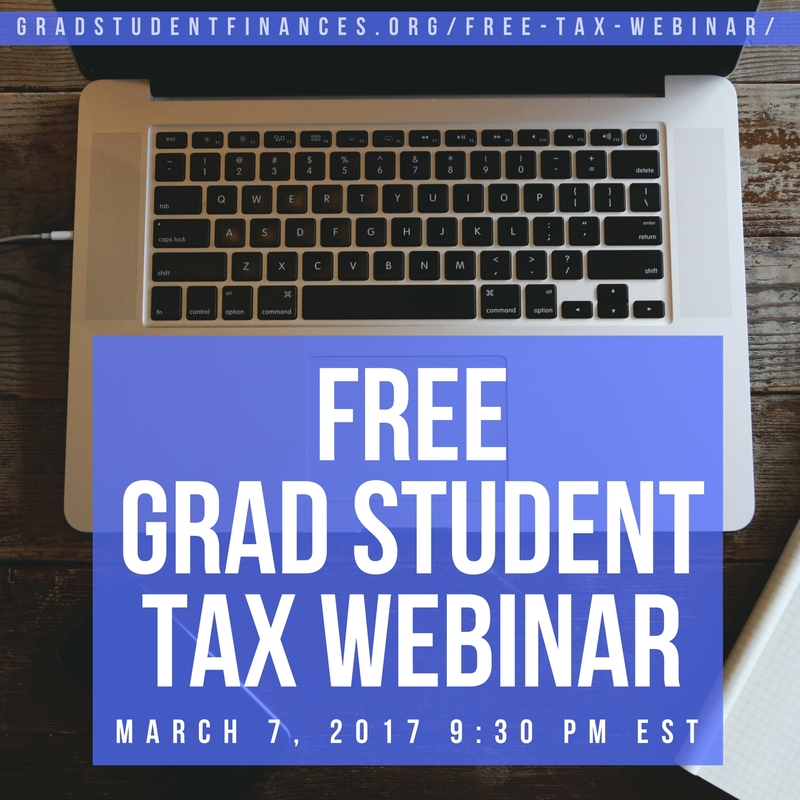 The purpose is to help graduate students make sense of the tax-related forms they receive (or don’t receive!) – with lots of quotes and links to the IRS website – so they can correctly figure out their school-related taxable incomes and deductions/credits. For those of you who have never received fellowship income, you might not realize how confusing this can be! The challenge regarding this situation is that the staff members at my university are strictly prohibited from giving tax advice. That means the people who know the most about graduate student compensation have their hands tied with regard to helping students even when the students come to them for with very specific questions. To make matters worse, professional tax preparers, it seems, are almost universally untrained for the unique tax situation of graduate students. Through these conversations, I have noted four lies that I know some graduate students have been told by their classmates and tax preparers. Unfortunately, for the document we are creating we cannot make direct statements to counter these lies. But as this blog is unconnected with my university (and if you haven’t figured it out, I’m not a professional and you shouldn’t trust me! ), I’m going to make those statements! I’m very curious to hear if any of you have directly encountered a situation wherein one of these was not true (and you’re sure the filer was correct). One final disclaimer: The corrections to these lies are relevant for US citizens attending school in the US. Our document will cover more than just that situation but this is the current status of our research. 1. You don’t have to pay income taxes. / Your income isn’t taxable. / If nothing was withheld, you don’t owe any taxes. 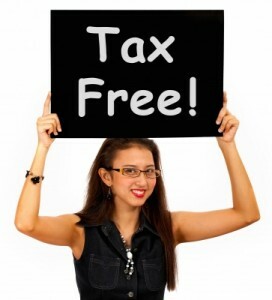 If you’re paid a stipend that you’re free to use for your living expenses and such, it is taxable! I’m not talking about fellowships that pay your tuition, I’m talking about money that you don’t have to use for qualified tuition and fees. 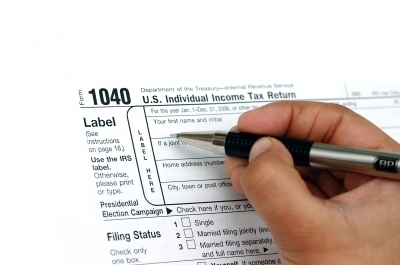 Your income may be so low that you don’t owe taxes, but you still need to file. Not every income type will be reported to the IRS by your university – just because they don’t report doesn’t mean you don’t have to! You might not have any taxes automatically withheld for you during the year, but all that means is that you have to file quarterly estimated taxes, not that you can get out of paying. 2. You received a 1099; that means you are self-employed. Your employer is your university – you are not self-employed! (Well, okay, you might be self-employed as well, but that’s aside from your role as a graduate student.) Being paid with a 1099-MISC looks like contractor income for self-employed individuals (box 7), but a lesser-known usage of the form is for fellowship and scholarship income (box 3). 3. You can deduct tuition if you receive a statement about it from your university, even if you didn’t actually pay it. Even if your 1098-T or some other letter makes it appear that you paid tuition, you can’t ignore the reality that the university paid it on your behalf (if that’s the case). If you didn’t actually pay it, you can’t take it as a deduction! The goal is to have your 1040 accurately reflect your taxable income, not to lower your tax burden by making it look like you paid your own tuition. 4. You don’t owe any taxes because you didn’t receive any official tax forms. 1) If a student is paid through her Bursar account and the amount exceeds the qualified tuition and fees, she will not receive a 1098-T and yet does need to file/pay taxes. She needs to check the transactions in her Bursar account to calculate her taxable income. 2) If a student has fellowship income and does not have taxes withheld, he will receive a “courtesy letter” from my university in January instead of a 1099-MISC and that’s what he has to use to calculate his taxable income. Your university may handle these situations differently or there may be others for which they don’t send out forms. For discussions of other confusing points about graduate student income, read my posts on earned income and Roth IRAs and Social Security taxes. Can you contradict any of the above “lies”? (Correct me before I get further along in this project!) Why do you think there is so much misinformation floating around concerning graduate student taxes? What are the names of the tax forms you have received as a graduate student (mine are 1099-MISC and W-2)? Have you ever received a courtesy letter and in what situation? 38 Responses to "Tax Lies Told to Graduate Students"
Any thoughts on Americans in grad school abroad? I receive a fellowship covering my tuition and a yearly stipend. The US has a tax treaty with the UK but stipends aren’t subject to tax here but they are in the states. I haven’t gotten that far in my research yet, sorry! We are going to investigate the corresponding situation in the US for sure. Great question, though. I recommend asking several people who have been in the same situation before and then search as best you can through the IRS website. It’s actually a very informative and (usually) clear website but it’s helpful to have a starting point (form number, publication number). So taxes aren’t my thing- but does your university have a law school? Ours does, and I know that students have gone to the law school’s tax clinic with questions. Maybe the clinic professors operate under different restrictions? We do have a law school and they do have volunteers helping out with taxes. Some of the lies I wrote about came out of the mouths of these volunteers. TRUST NO ONE. (Not even me! Do your own research!) I think they’re allowed to at my university because they are not university employees but rather from H&R Block or similar. When exactly do I have to start filing quarterly estimated taxes? I didn’t file the September 2012 one, but should I have? What about January 2013? Or should I wait until April 2013 for this academic year? Wow, that’s a lot of misinformation floating around your university! Did you know better from the beginning? You should read Publication 505 (particularly Figure 2A) to see if you are supposed to file estimated taxes in 2012 (I’m confident you will have to for 2013). It will depend on your income and withheld taxes for the first part of 2012 so you will need to calculate your expected income for the entire year and subtract out what you had withheld, if anything, and credits, if any. If you do have to, definitely file for the fourth quarter so that you won’t accumulate more fines. (Although to be honest, I forgot to file my estimated taxes one quarter and the fine was pretty small.) Another complication is if your parents are claiming you as a dependent in 2012 so you should ask about that if it applies. For next year, I recommend setting up withholdings if you have the option so you don’t have to bother with the quarterly estimates and filing. It makes budgeting a lot easier. I don’t know the answer to your second question, though. I suspect that your name or SSN is still linked to some organization’s tax filings, though, even if they aren’t reporting for you individually in a given year. It’s not like we’re paid in cash under the table. I’ve come to believe that the IRS is actually very sophisticated and they will eventually catch on that they haven’t been paid their due, even if it takes a few years. Thanks, that’s really helpful! And yeah, I knew more because I read up on taxes before I started because my mom didn’t believe that I wouldn’t have to pay them. And she was right. Please do report back if you find out stuff about quarterly taxes! This makes me realize my taxes are going to be complicated this year, and I don’t have money to pay fines! I have taxed income for the first six months of 2012, one very heavily taxed paycheck for the summer (over twice my usual rate due to prorating), two taxable external grants and one small stipend, and now taxable fellowship for the rest of the year. I am putting money away for taxes but I hadn’t even though of quarterly payments. Would love updates. This is a good service for your university, too. Wow, that’s a lot of income sources! Have you had to pay estimated taxes in the past? Are any taxes being withheld from any of your sources? You should have a good picture of your 2012 income by now, right? I think Pub. 505 is still the best to check out to see if you owe estimated taxes. If you are filing jointly with your husband you will need to consider his income and withholdings as well. Once you know your income you can use the Estimated Tax Worksheet to figure out exactly what the tax should be. I would go ahead and file for the last quarter in 2012, especially since you have the money sitting aside anyway. Acting in good faith is better than being perfect. It is a lot – I’ve really worked to bring in extra income this year because my regular salary hasn’t been sufficient, and expect to do the same next year. Taxes were withheld from about half. My husband only has one source of income, taxes withheld, so it would be easier on him to file separately. We figured that was something we could look into around tax time, but I guess if I have to do quarterly we have to figure it out sooner. We’ll run some numbers when I’m home in December, thanks for the heads up. Good things to remember when I get around to going back to school. Kind of funny that the best tax advice from a fellow physics graduate than I have from actual tax professionals I know! Thanks! It’s not their fault. Grad student probably give them NO business so why would they educate themselves about our situation? Great service you are doing to your fellow-grad students at your institution! I’ve struggled myself, make lots of calls and read lots of .gov sources online and each time I file I still cross my fingers that I haven’t overlooked something… It doesn’t help that I have been switched on and off fellowship depending on the year… once I’m used to the procedure I’ve got to learn a new way to file. Now that Kyle and I receive a W-2 exclusively the taxes are pretty easy, but earlier in grad school we had the same uncertainty if we had filed correctly. In fact, one year we both filed exactly the same way and got the same correction back from the IRS. We each called to argue that we had been correct to begin with; Kyle won the argument and I lost. So even the IRS people don’t know what’s going on sometimes. I’m not prepared to make a definitive statement about the situation you outlined (and even if I did… don’t trust me!) but I think you were incorrect. If I understand your scenario, you want to only pay income tax on the $6k (this is fellowship/1099-MISC income, right?) but also take a deduction on the $4k? If you were to argue that you should pay income tax on the $10k and then deduct the $4k that would be internally consistent but still incorrect, I think. This is an aspect of the guide we are creating that I discussed with my partner so I hope to have a well-documented answer for you in a few months, but my preliminary answer is that there was just $6k in taxable income and no additional credits or deductions. In that situation you’re getting a credit for $4k in qualified tuition and fees, not a credit and a deduction. Thanks for shedding some light on this. Your second scenario (paying income tax on $10k and deduct the $4k) is what I was suggesting. This was a fellowship stipend and I received no tax documents (no 1099-Misc) from my university. I estimated and paid the quarterly tax payments. Now that I’m back on salary, I’m less vested in the “right” answer, but it would be good to know which is the right way to treat this situation! So far the IRS hasn’t come back to get me for using the tax deduction method rather than lower taxable income method. Good luck in the project; what you find will be very valuable. Oh yes, I think it was the lower taxable income solution. Better for you! I wonder if you can make a correction for last year? The corollary to the lie that you can’t fake paying tuition is that you shouldn’t fake having income that you really didn’t! My first year in grad school I counted the tuition credit on the 1098-T as income, and deducted it. Because of the particular amount of other earned income I made in the first half of the year, it made sense to do that. Not sure it was right, of course, though I had asked a tax prep professional for help. Honestly, somebody needs to come along and reform the system. Frankly, I’d prefer they just outlawed fellowships and treated everybody as employees- both ways have serious drawbacks, but having this hodge-podge system just confuses everybody. Well from your brief description I don’t think that is correct – that is, your “income” that pays the tuition should just cancel with the tuition paid as a credit and the rest of your income – your real income to your pocket – shouldn’t have any deductions. It works out better for you that way. You really can’t trust a tax preparer to know these nuances unless they specifically study it for your case. I agree the current system is very complicated and needs clarity. I wish that fellowships were not considered unearned income! Is there an advantage to me receiving a W-2? It would be nice to contribute to social security, right? I believe the language on the 1099MISC instructions is the same as it has been for several years (since I started reading it). What makes you say that it has changed? I discuss this passage in detail in my post on earned income and Roth IRAs. I am surprised to hear you say that you are being paid by a grant and receiving a 1099MISC, however. At my university 1099MISCs are issued to fellowship recipients and students paid through their advisor’s grants are issued W-2s. The exception is that students on training grants (generally in the first 1-2 years of the program) also receive 1099MISCs. So are you on a training grant or a grant of your advisor’s? If you are on your advisor’s grant I would double-check with your university as to why you have been issued at 1099MISC instead of a W-2. My university gave me some lines about how students on training grants/fellowships don’t have a work requirement because they are taking classes and not in a particular PI’s lab yet – which apparently is not the case for you unless your classwork is on top of 40 hrs/week in the lab. There is an advantage in receiving a W-2 because you can unquestioningly contribute to an IRA and you may also be available for other credits/deductions that are not available to people without earned income (and a 1099MISC indicated that you do not have “earned income”). I recently learned that social security taxes aren’t withheld from stipends no matter if they are through 1099MISCs or W-2s, which is fine by me because I consider social security to be a broken system. I think you would be better off contributing to your own IRA than paying social security taxes. So, I e-filed with TurboTax using the W-2 form I received from my university, as I am paid off of my PI’s grant. However, I just discovered a 1099-MISC form with $1,000 written in Box 3 of the form. This $1,000 was a travel grant I was awarded by a professional society to help pay the costs necessary to attend their annual conference. What do I do now? Do I need to amend my return? The right thing to do is amend your return to account for this income. Bummer you have to pay taxes on that sort of thing.